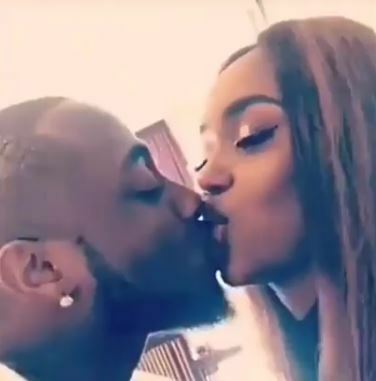 The famous Africa Star and his girlfriend Chioma fully assured their fans that their romantic relationship remains blazing and hot when they were both spotted sharing a loving kiss together. The Amazing couple were captured in their romantic moment at a boutique where they warmed up to each other. 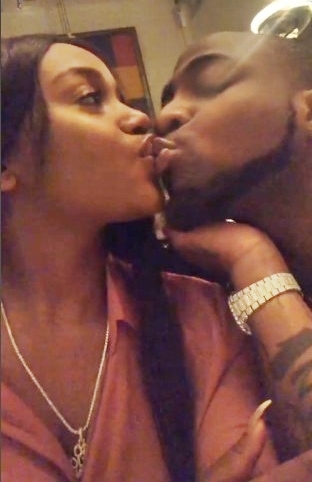 In the picture posted via Davido's Snapchat shows Chioma holding her boyfriend's arm. After a successful concert at the Eko Atlantic in December 2018, the famous star is looking to begin 2019, with significant impact at the United Kingdom's 02 Arena, where he is expected to perform. 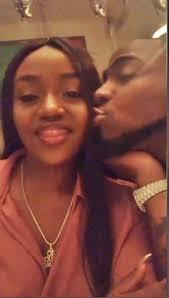 Davido in a moment of affection with his pretty girlfriend Chioma. On January 27, 2019, he is set to impress his UK fans on stage alongside The Compozers, Mayorkun, Peruzzi, Dremo, Yonda, Idowest, who are listed on a promotional poster for the event. Davido in an interview last October told Pulse of his intention to surpass Wizkid's achievement filling up the 20,000 capacity 02 Arena to the brim.